" Somoy jeno katena/Boro eka eka lage”, these lines are taken from the jingle of a telecom company’s advertisement that was aired on different television channels a few years ago. Literally mobile phone has turned into such an integrated part of our lifestyle that we cannot live a single day without it. And to provide smooth service to the huge number of subscribers, mobile phone operators always try their best. The four private companies and one government-run mobile phone operator have increased the mobile users of their own company. They provide offers after offers every day. At present mobile phone operators offer a free minute to the user in return in case of “call drop” (if any call is disconnected due to network problem). To afford such types of offers and make uninterrupted service to increasing consumers mobile operators have been focusing to improve their network over the years. We also expect an uninterrupted service from them. But we do not know about the harmful effects of such ceaseless service. 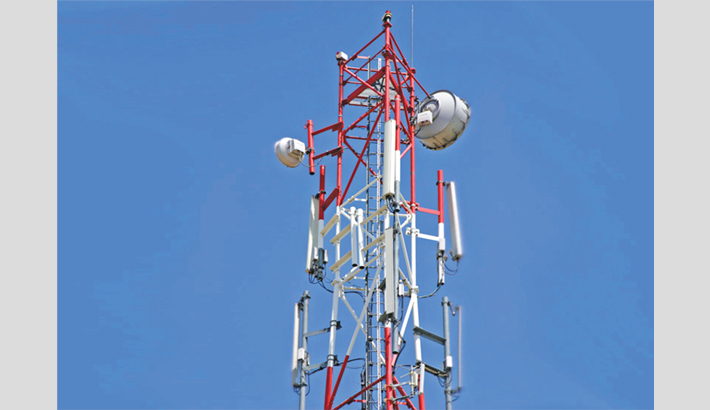 The mobile telecom companies build towers in every area of the country. According to the mobile phone operators, there are around 34,000 cell phone towers across the country, among them Grameenphone has 12,000 towers alone, merged entity Robi and Airtel has another 12,000 towers, Banglalink has about 7,000 towers and state-owned Teletalk has 3,800 towers. Among these towers a large number of towers are established near schools, hospitals, residential areas and office buildings to provide better mobile phone coverage to the users. 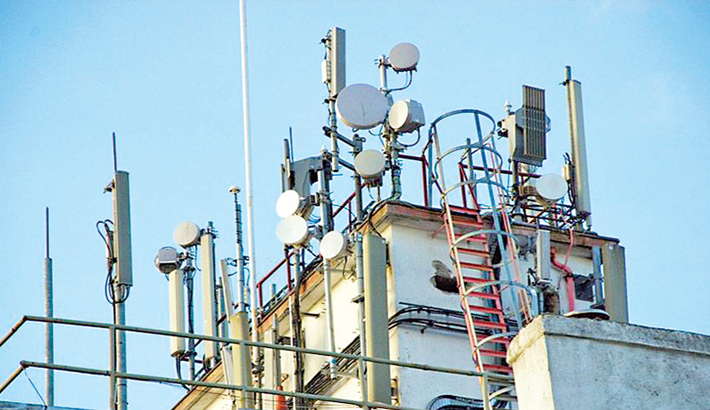 All of the companies have set up their mobile towers over the roof top of the houses or institutions without considering the minimum distance from the people’s living area. They never followed the international strategy to build towers. In the developed countries these towers are established by keeping minimum distance from the residential area, but in our country all the operators have established mobile phone towers carelessly. Electro-magnetic wave that is spreading out continuously from these towers are affecting the public health directly. This radiation can be the cause of cancer, heart diseases, high per tension, headache or other diseases. The symptoms of those diseases can appear after 10-20 years later. And electro-magnetic radiation from cell phone towers may be the reasons for reducing the number of butterflies, bees, insects and sparrows. One would never see a bee, sparrow, pigeon or any bird flying and staying near the mobile phone tower. The reason is that surface area of a bird is relatively larger than their weight in comparison to human body, so they absorb more radiation. Since fluid content is smaller due to less weight, it gets heated up very fast and also the magnetic field disturbs their navigational skills. Some other studies have also shown that there seems to be effects on birds exposed to the electromagnetic field radiation and losing navigational ability. Some other observations suggested that the tower radiations have detrimental effects on the green coconuts at the time of pollination and thereafter. Mobile phone towers transmit in the frequency range of a) 869-890 MHz (CDMA), b) 935-960 MHz (GSM900), c) 1810-1880 MHz (GSM1800) and d) 2110-2170 MHz (3G). Mobile phone operators divide a region in large number of cells, and each cell is divided into a number of sectors. Generally, there are three sectors with equal angular coverage of 120 degrees in the horizontal direction. A cell phone transmits 1 to 2 Watt of power in the frequency range of a) 824-849 MHz (CDMA), b) 890-915 MHz (GSM900), c) 1710-1780 MHz (GSM1800) and d) 1920–1980MHz (3G). Radiation from cell phone is defined by its SAR (Specific Absorption Rate) value. In USA, SAR limit for cell phones is 1.6W/Kg, which is actually for 6 minutes use. It has a safety margin of 3 to 4, so a person should not use cell phone for more than 18-24 minutes per day. Human beings are bio-electrical systems. The heart and the brain are regulated by internal bioelectrical signals. Environmental exposures to EMF can interact with fundamental biological processes in the human body and in some cases this may cause discomfort. The cell phone towers transmit radiation 24x7, so people living within 100 meters from the tower will receive 10,000 to 10,000,000 times stronger signal than required for mobile communication. There is no guide line to import the mobile phone set or cell phone device. As a result, importers can import easily the harmful devices that transmit over the limit of SAR. Owing to these consequences, developed countries of the world follow some rules to set up mobile phone towers. It is clearly mentioned in those rules that mobile phone towers should be established at the minimum height from the ground (usually it starts from 40th floor). Though it is prohibited in residential areas and educational institutions but most of the cell phone operators in our country do not follow this common law for building mobile phone tower. The common people of Bangladesh are not aware of the rules and the health hazards of cell phone towers and effects of its radiation. But the concerned authorities, Bangladesh Telecommunication Regulatory Commission (BTRC) and Ministry of Posts and Telecommunication, who are responsible for the issue, hardly care about it. Taking the public health in consideration Human Rights and Peace for Bangladesh filed a writ petition to decrease the radiation from mobile towers. Following the petition filed in October 2012, the HC directed the government to examine the level of radiation from mobile phone towers and its impact on health and environment. It had also asked the government to submit two separate reports. In response to a writ petition, the court asked the chairman of the Bangladesh Atomic Energy Commission (BAEC) to examine the level of radiation after inspecting some mobile towers and submit a report within four weeks. Besides, it ordered the health secretary to form a seven-member committee within a week to assess the impact of radiation on the human body and the environment and submit a report. The committee has found excessive emission of radiation from base transceiver stations (BTS) of a mobile phone operator which is believed to be harmful for public health and environment. The committee has suggested the High Court to direct Bangladesh Telecommunication Regulatory Commission (BTRC) to examine all BTS installed by mobile phone operators across the country. A report, prepared by the committee, also suggested that the BTRC could be directed to monitor the base stations regularly and through examinations it can take steps to reduce the emission of radiation to the level suggested by the World Health Organisation (WHO). Later on March 28, the High Court issued directives for the BTRC to report back on April 10 on steps taken to bring mobile towers under its regulations and to reduce radiation. The court also directed the health ministry to immediately seek evaluation and assessment of international experts on the threat that mobile tower radiation poses to public health. The health ministry has also been asked to submit a report on April 10 with opinions of the World Health Organisation, the International Atomic Energy Agency and the International Commission on Non-Ionizing Radiation Protection on the issue. Bangladesh has become a lucrative market for international mobile phone operators for its huge population. The mobile phone operators have been doing business here for more than a decade and have set up towers in a haphazard manner across the country in the absence of any guidelines or government instructions. Now the government should implement the court directives as the telecom companies often did not follow the government instructions. All of the mobile operators always think about their own profits, but they never consider the welfare of common people. The mobile phone operators have violated several rules, but we have not seen any steps taken against most of the mobile phone operators. Now we expect that the government will monitor the whole process. The court should also check whether the operators have complied with the orders while conscious citizens need to raise their voice in this regard. We should remember that our economic and social progress should not come at the cost of public health.